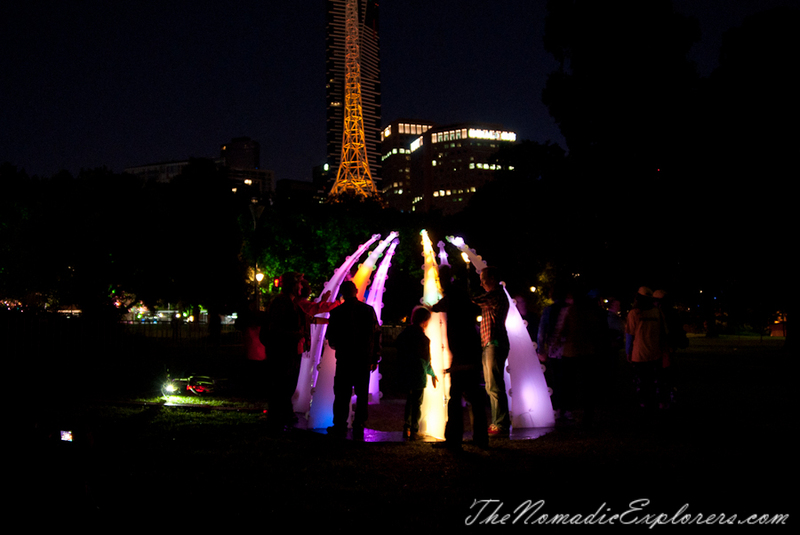 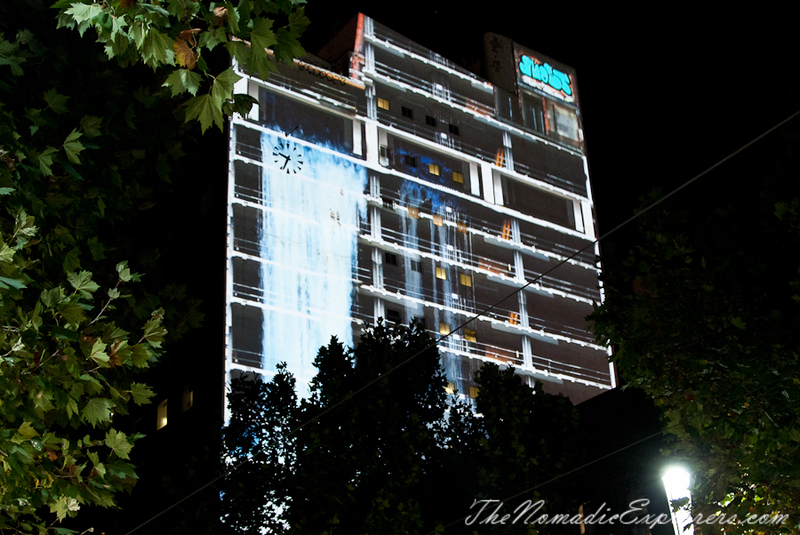 White Night Melbourne came back in 2016 to put on the biggest all-night art party the whole city could join in on. 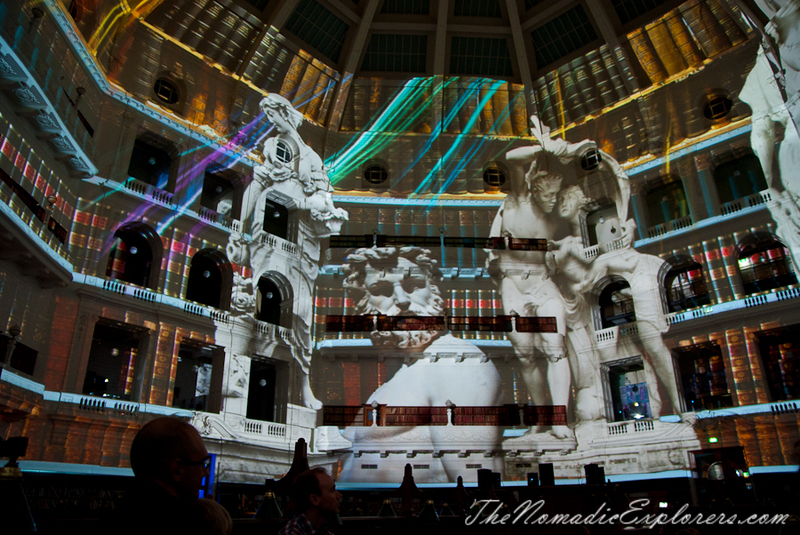 On February 20, the free 12-hour art-venture was pull out all the stops with visual art, projections, music, food, theatre, film, design and performances set to bring the city to life from 7pm until 7am. 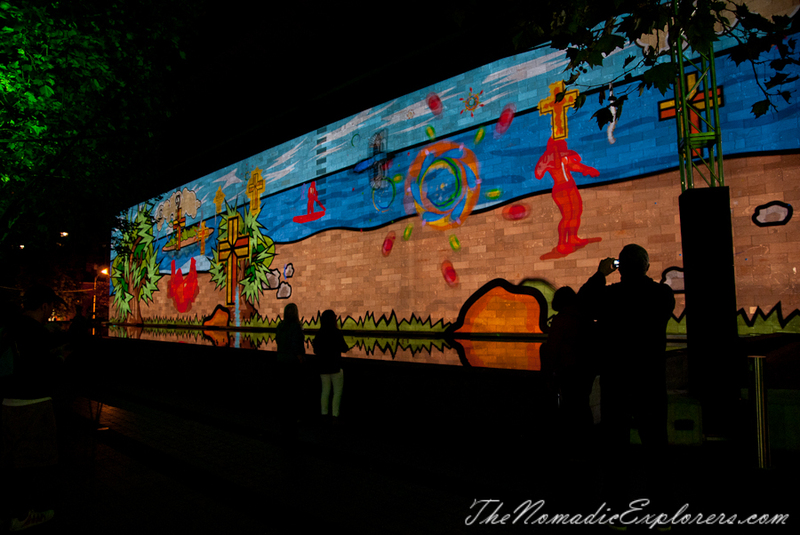 For the fourth year running, main strips, laneways, and shopfronts were lit up with projections and artworks, while the streets came alive with live performances. 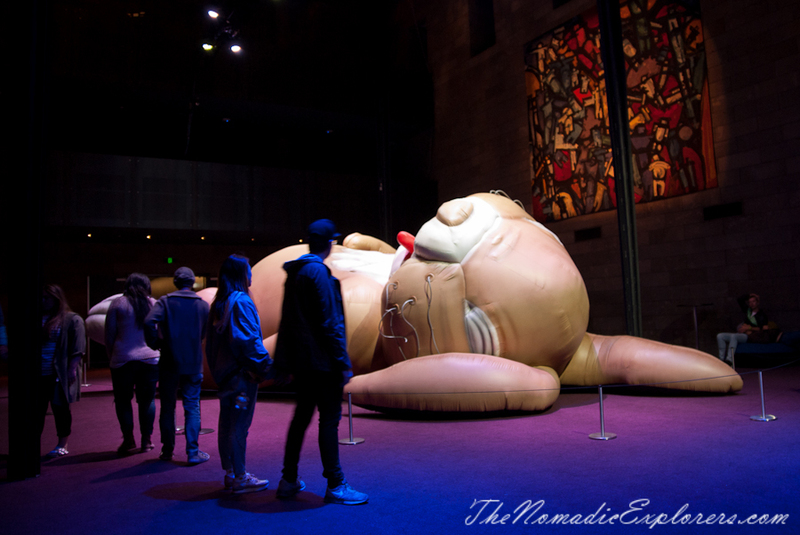 The city's main artery – from the Royal Exhibition Building straight down Swanston Street into the Arts Precinct – was split into five main areas and its crowning cultural jewels opened their doors all night to showcase highlight events. Last year we went to the White Night from 1am to 3am. 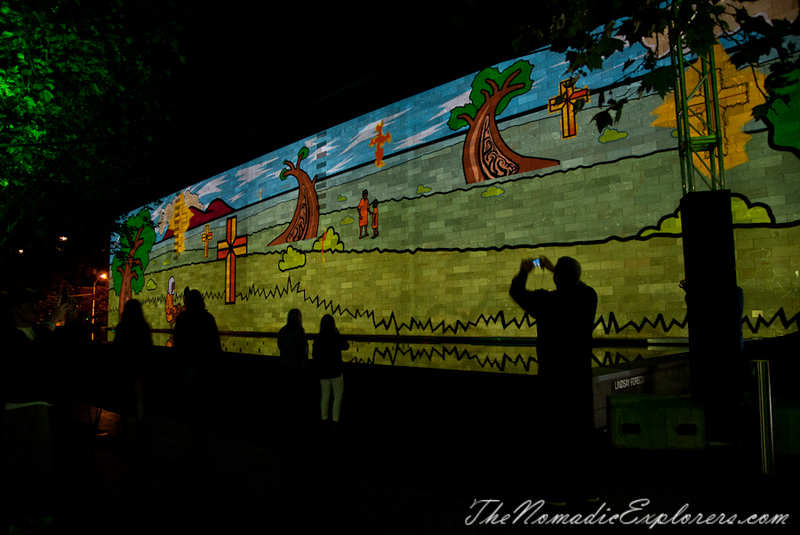 It was very crowded in many places, so this year we with a company of good friends started our walk at 3am. 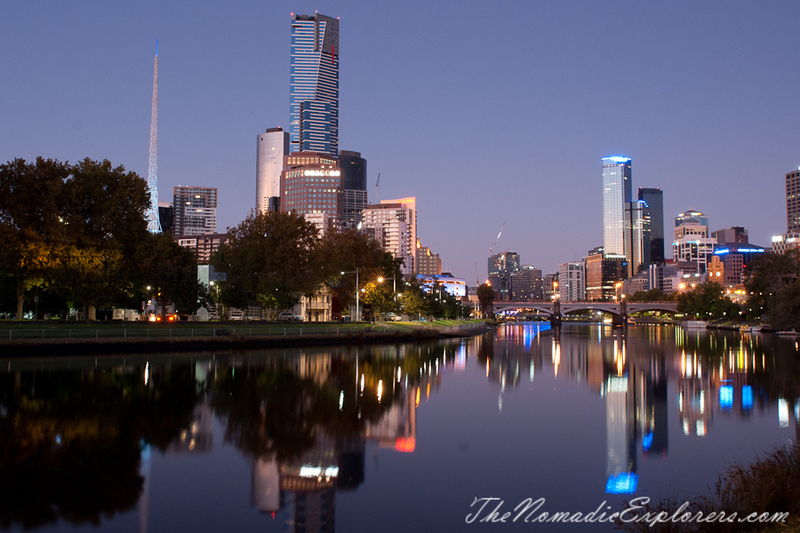 Our plan was to stay in the city till the end of the night and see as much as we could. 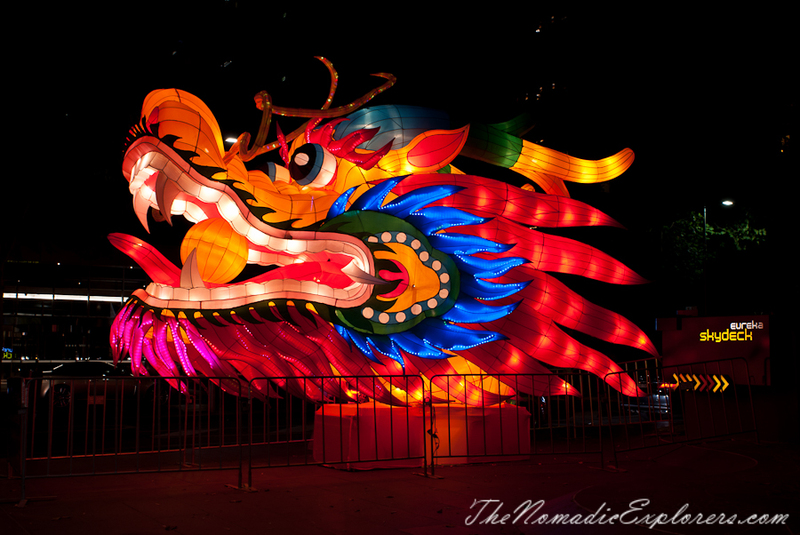 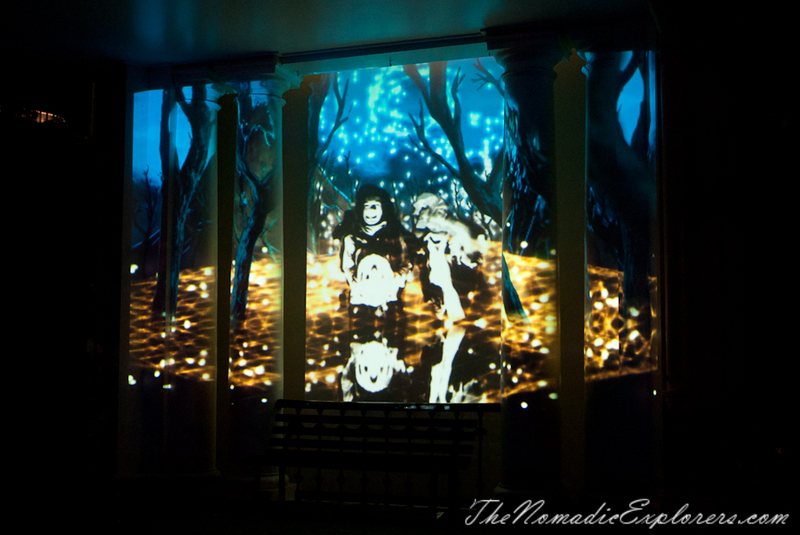 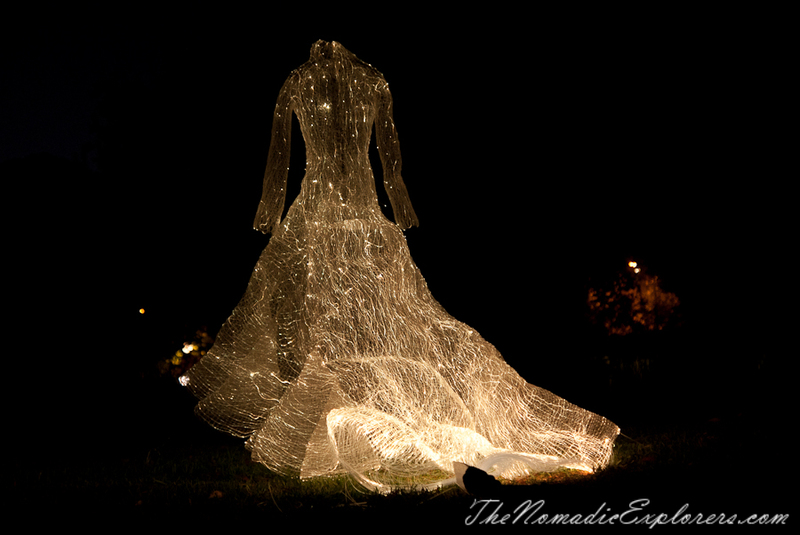 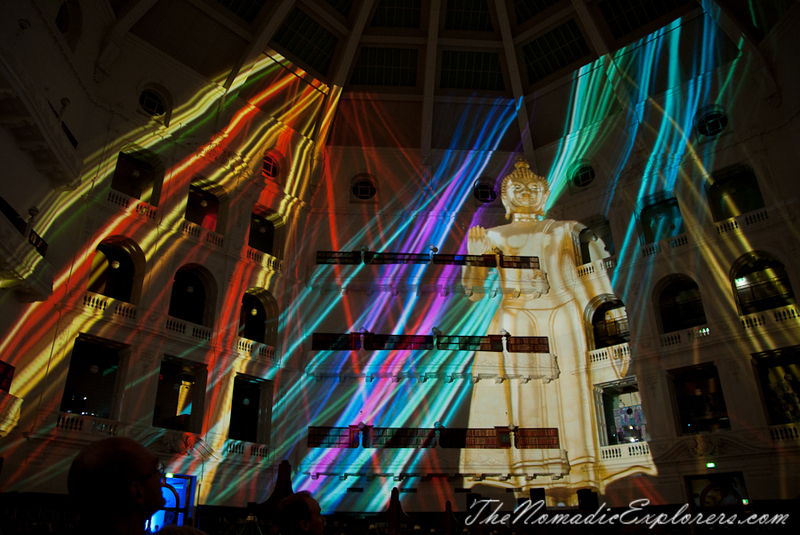 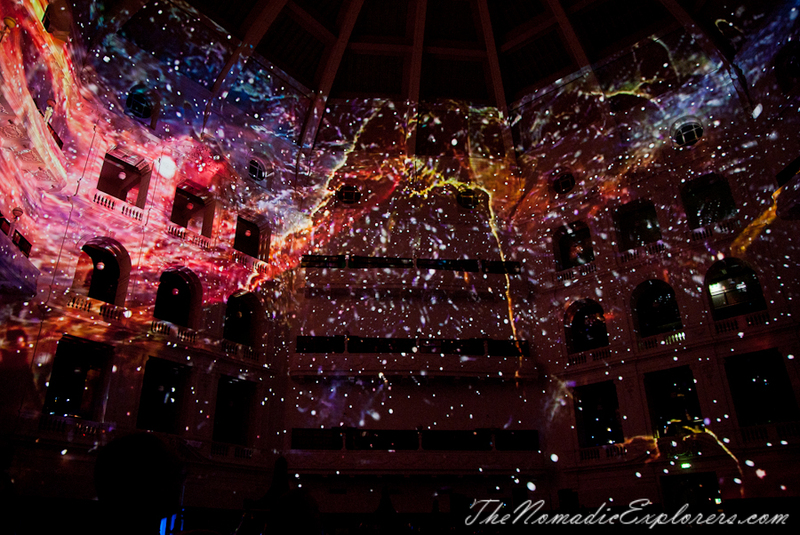 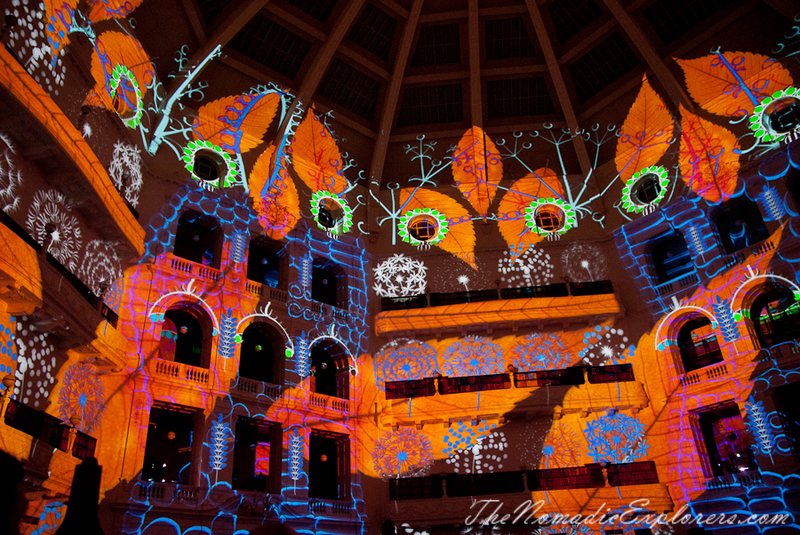 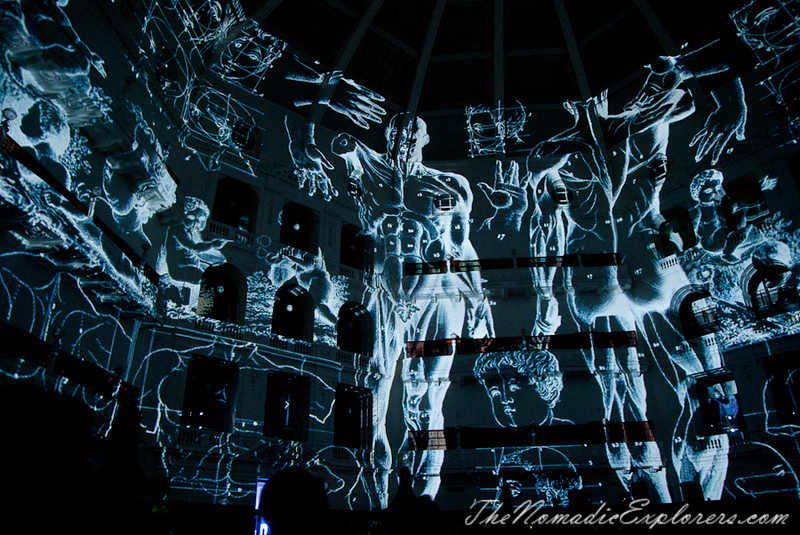 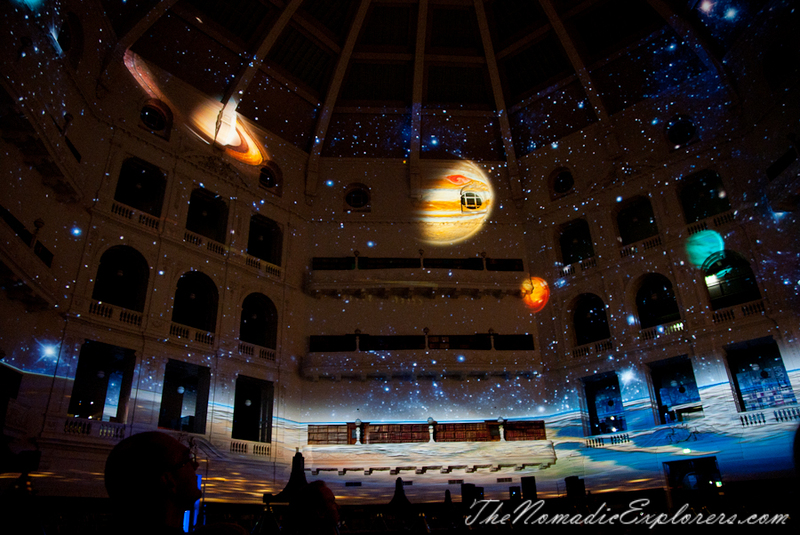 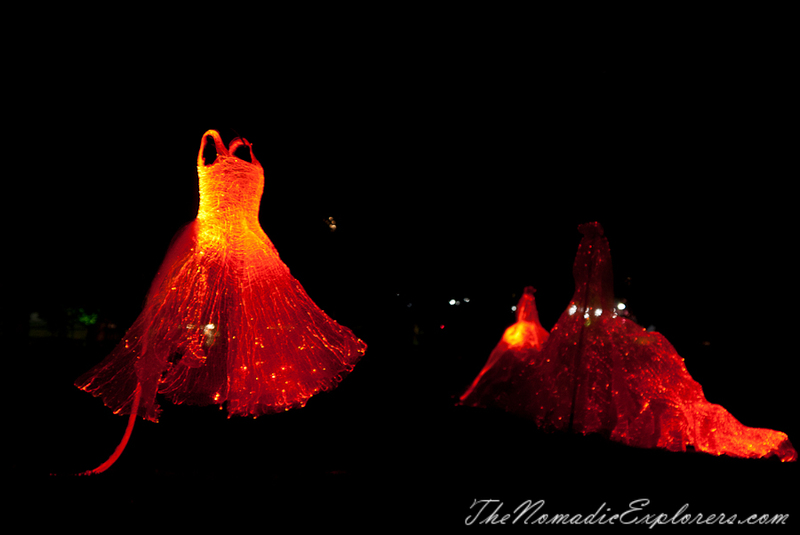 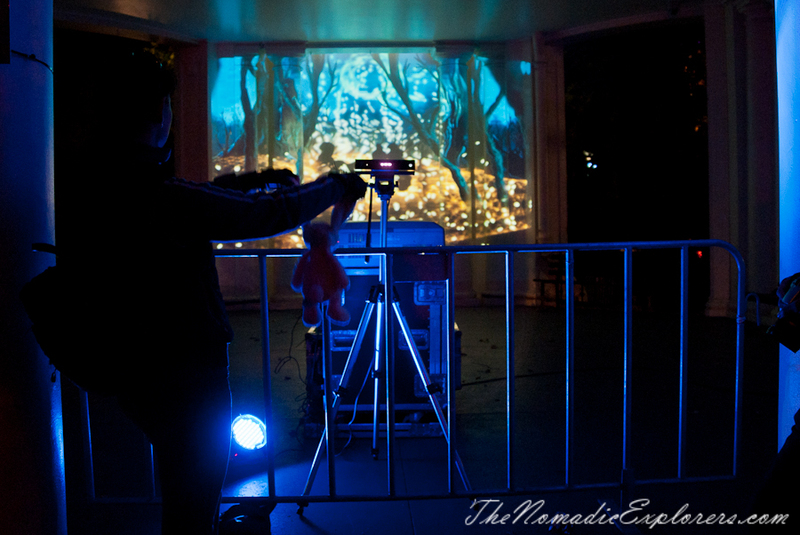 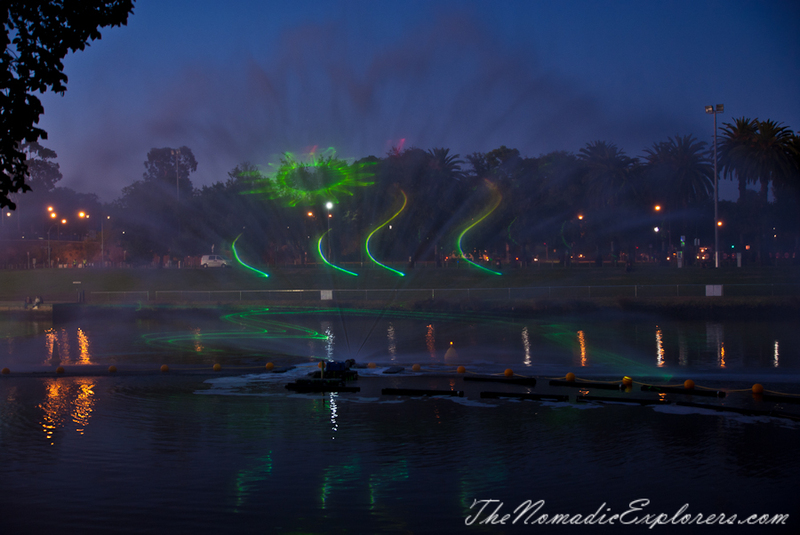 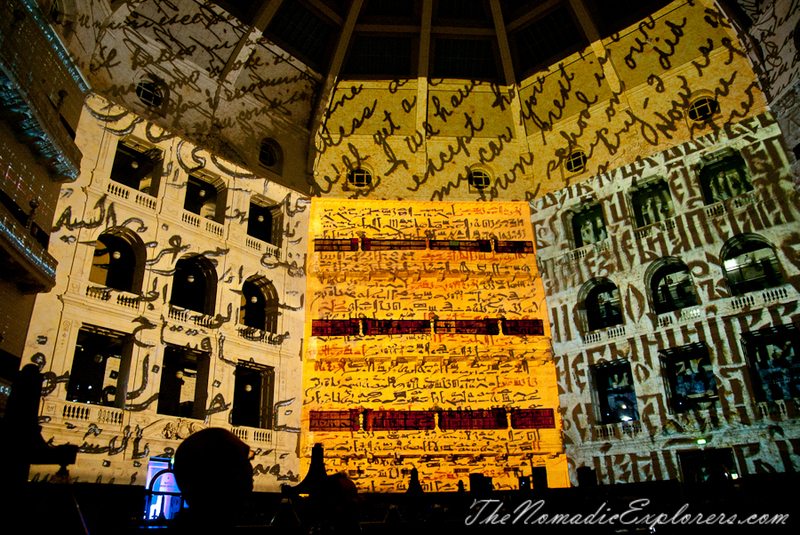 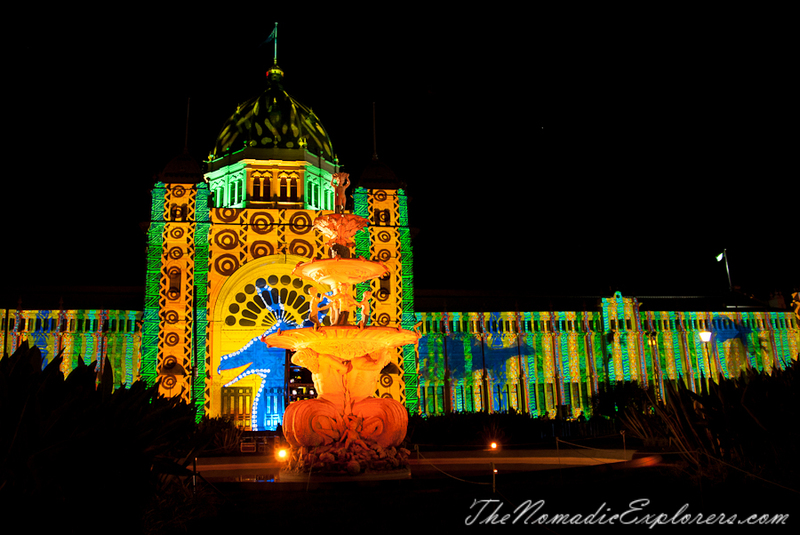 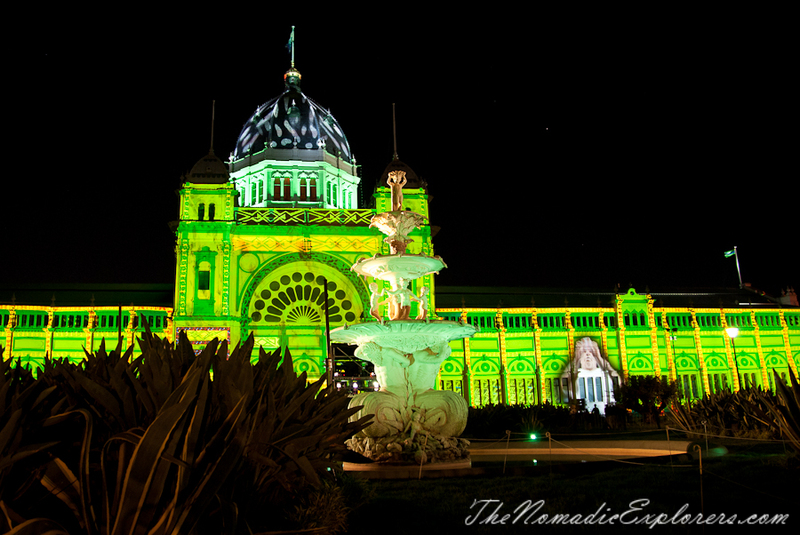 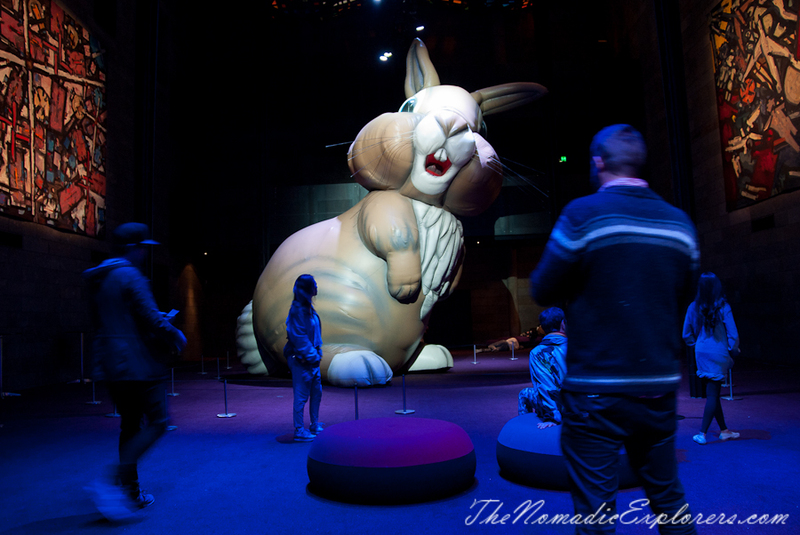 The Royal Exhibition Buildings, State Library and the Arts Centre, provided spectacular light shows. 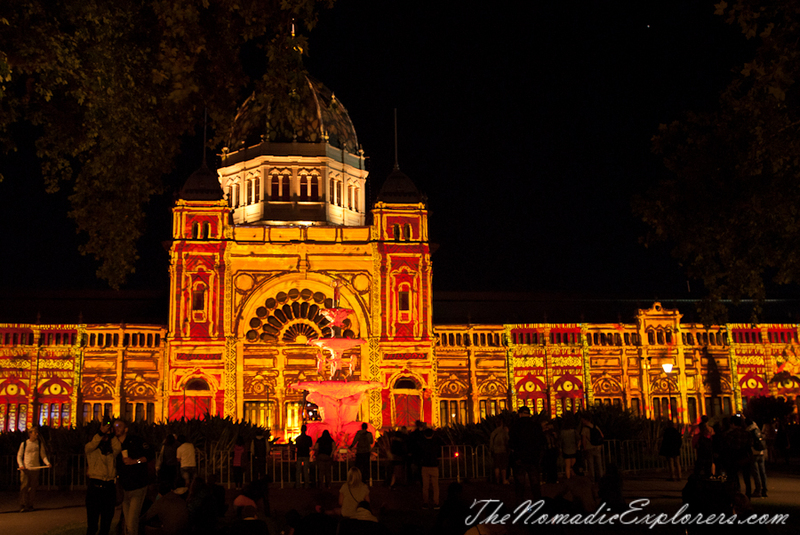 However, the lack of projections along Flinders Street, for which White Night had become known, drew fewer people along the thoroughfare, and for many the sight of the ornate Forum Theatre facade without illumination - a past highlight - was disappointing. 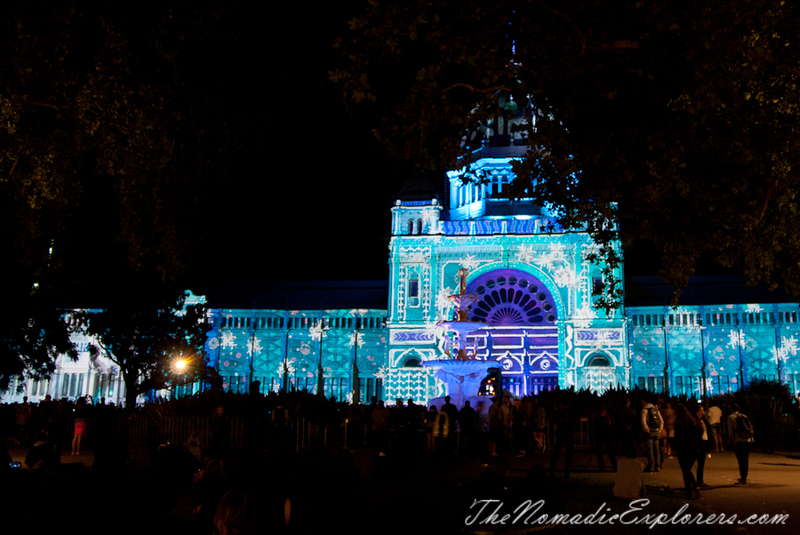 Here some of the illuminations that we've seen so far. 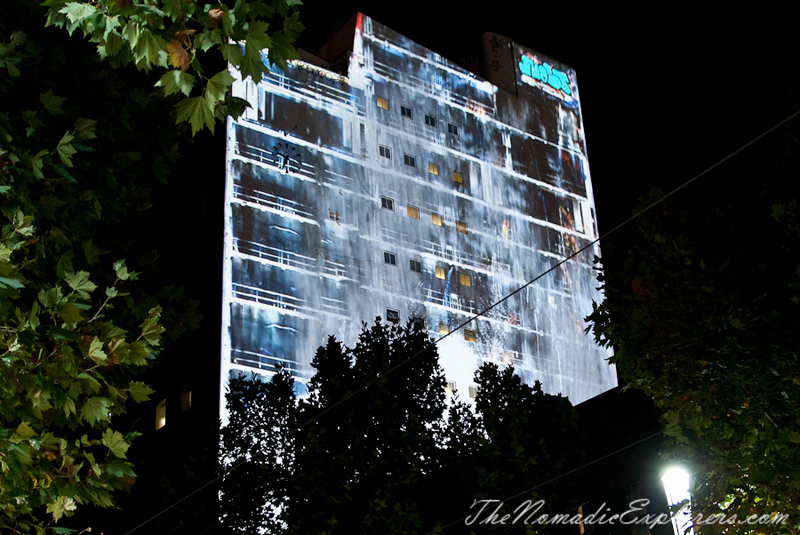 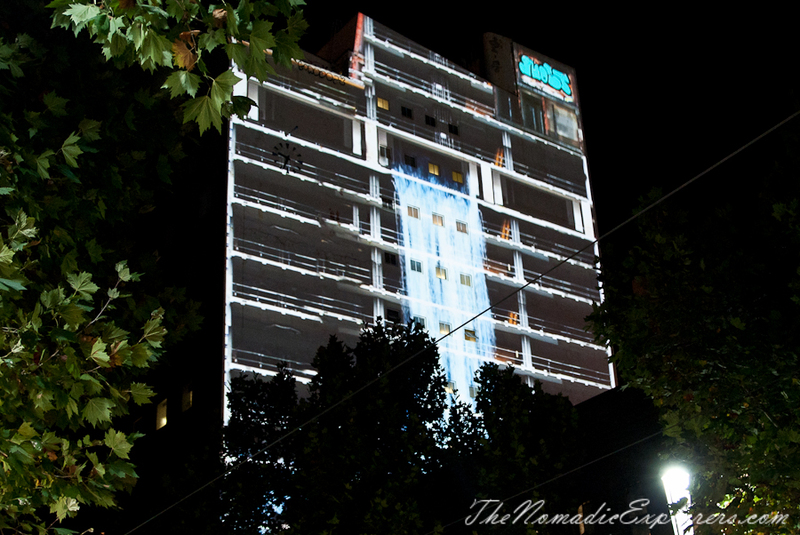 Chase Burns' White Wash, a projection splashed on the side of a Swanston street building dealt with rising sea levels, inundated buildings and climate change, giving a nice little respite from the hopeful search for something new. 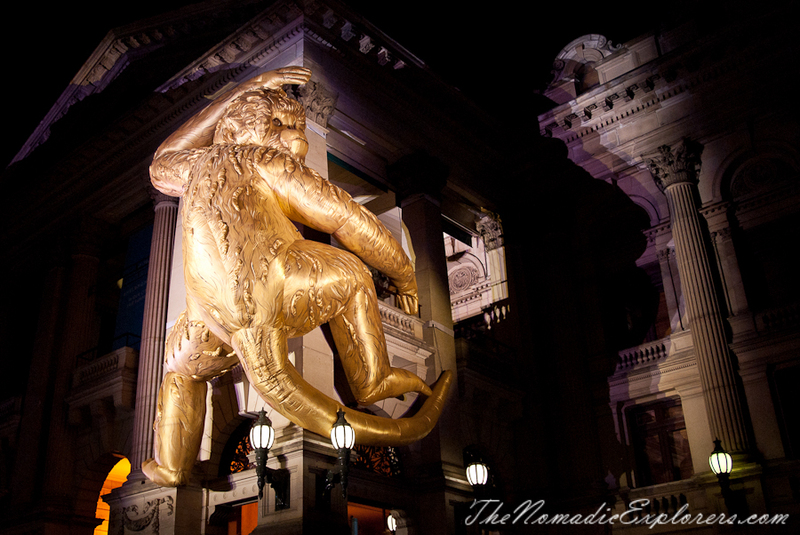 The Melbourne Town Hall façade was transformed by the Golden Monkey, a mystery art piece by Losa Roet. 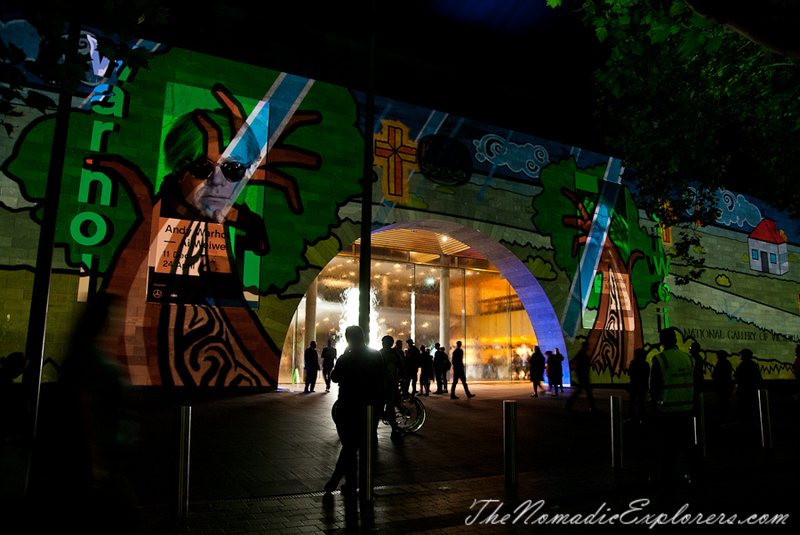 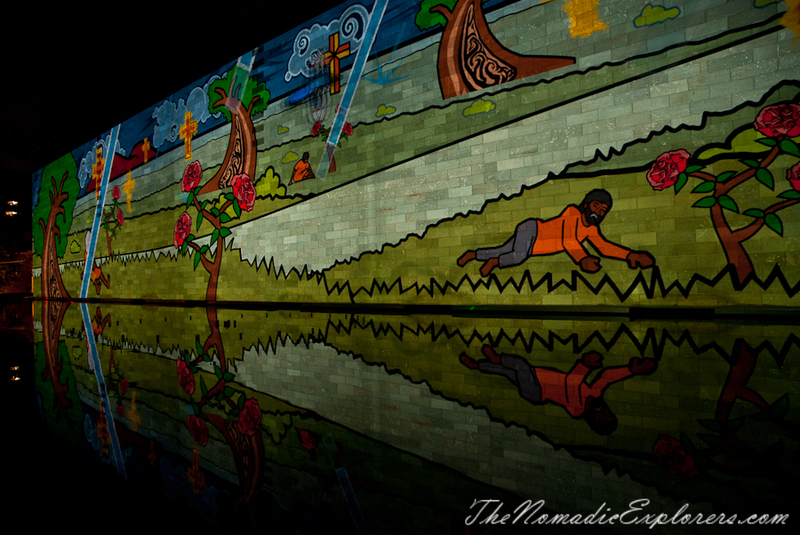 The NGV International's façade was illuminated by Still Here – the work of Ballarat-based artist Josh Muir, whose contemporary street art background plays with his Indigenous heritage. 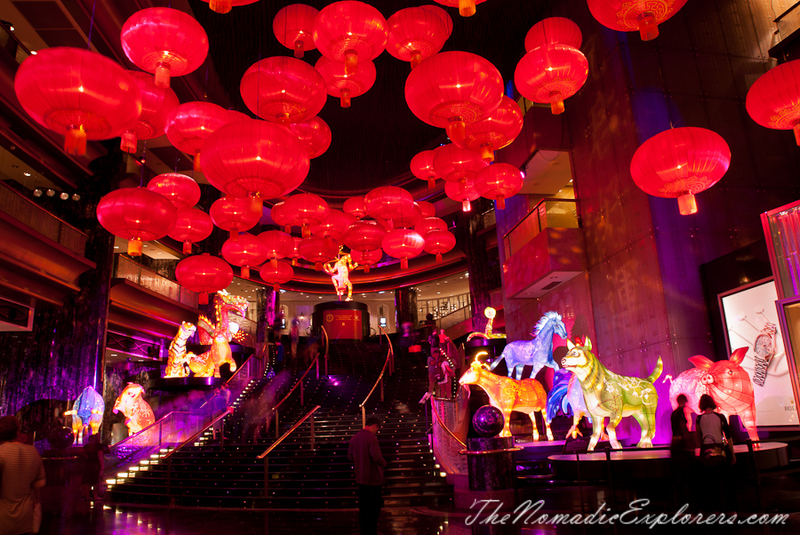 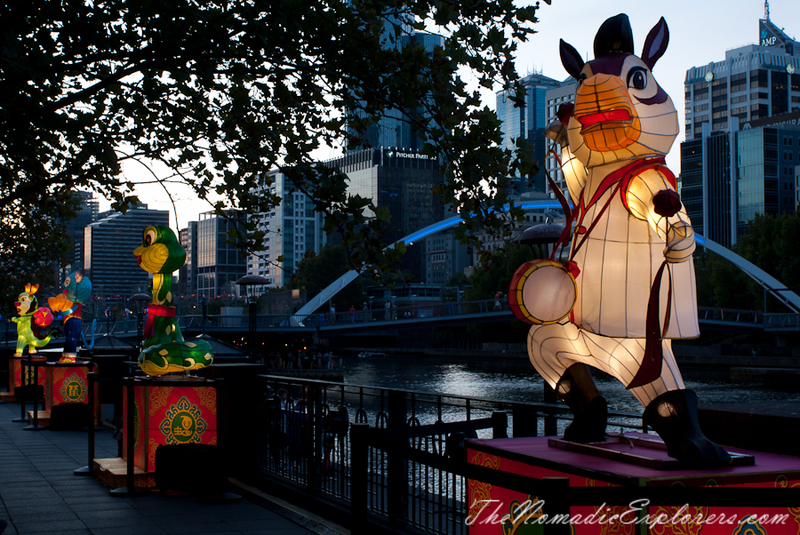 I'd like to show some other illuminations selebrating Chinese Year of Monkey. 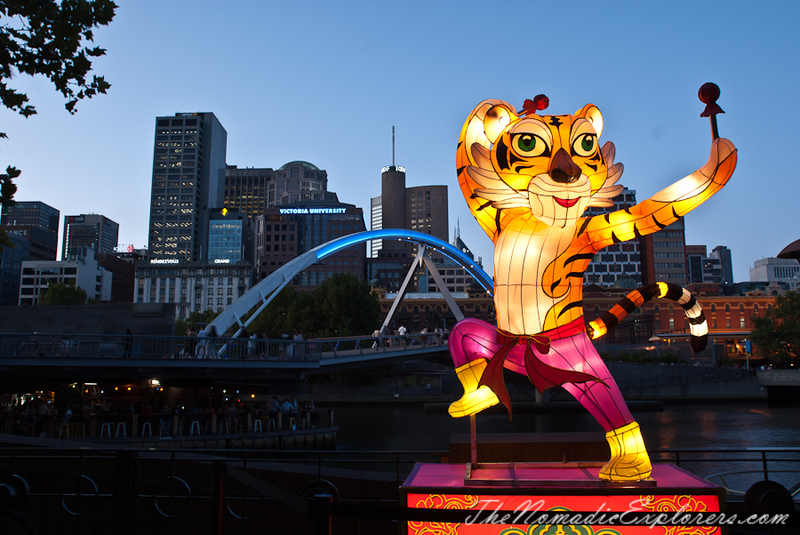 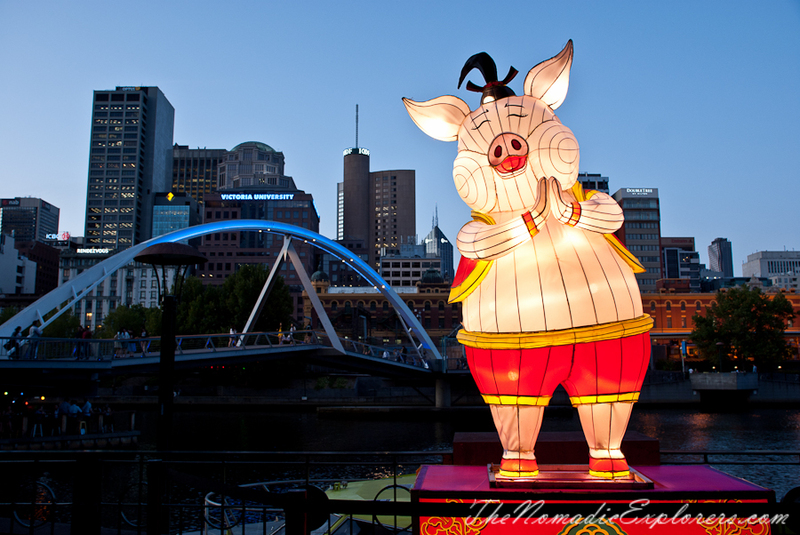 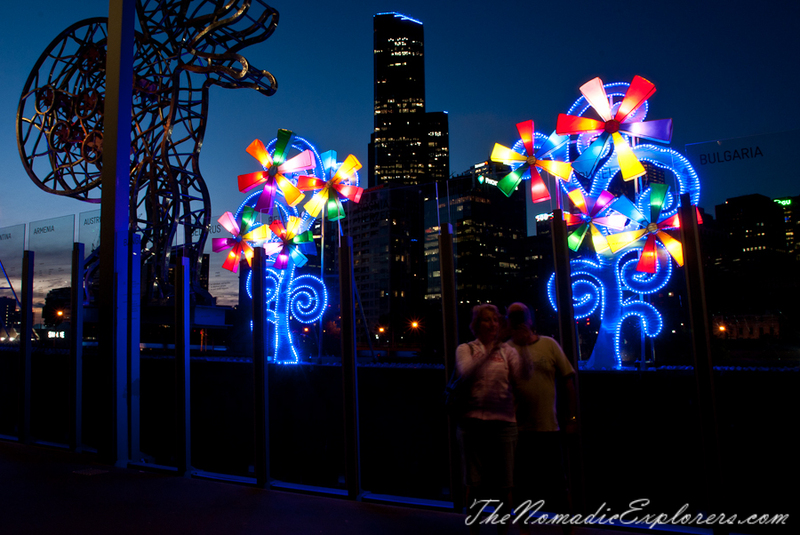 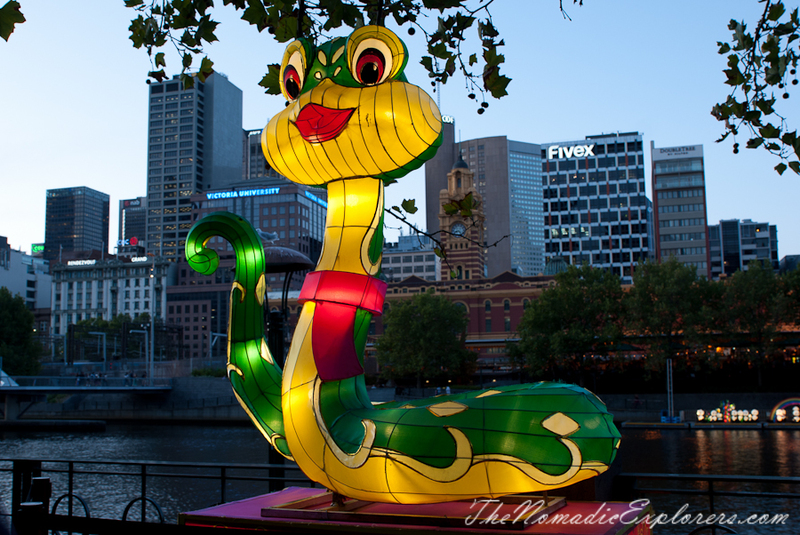 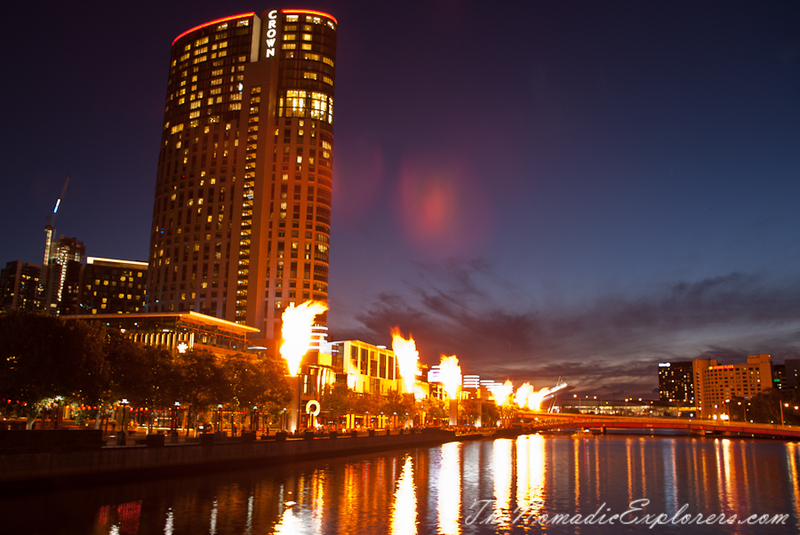 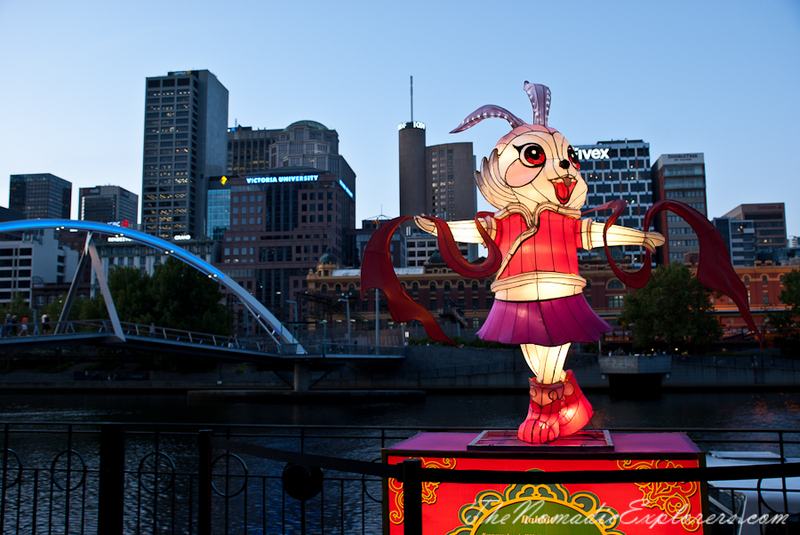 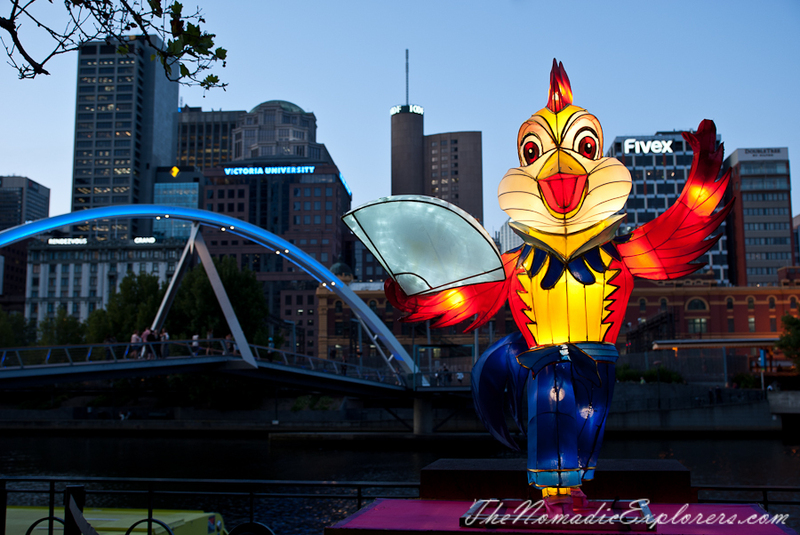 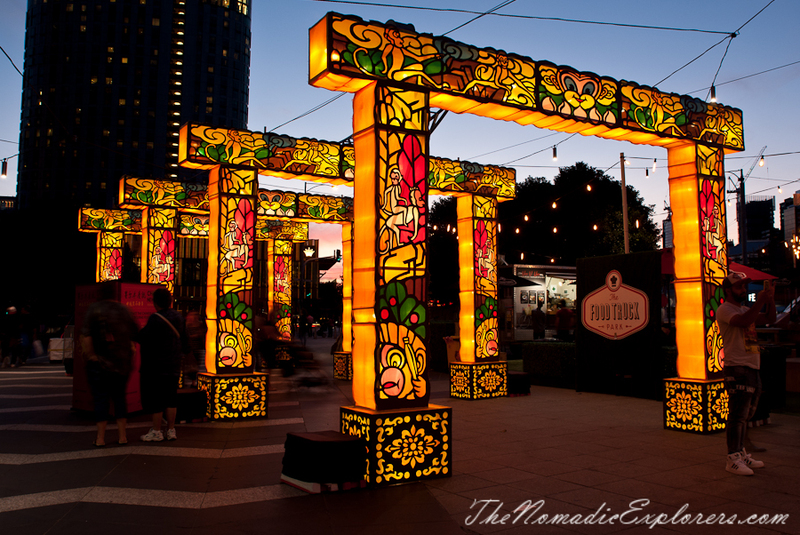 These lighting are not related to the White Night Melbourne, but they were on Southbank and near Yarra River till Sunday 21th.